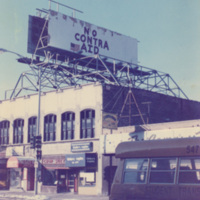 "Who Pays For Murder in El Salvador?" 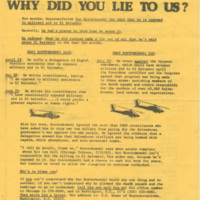 "Rep. Rostenkowski: Why Did you Lie to Us?" 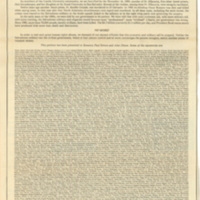 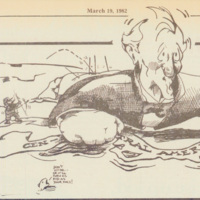 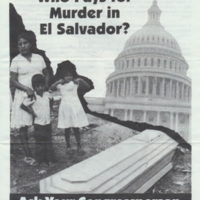 Flyer comparing Rostenkowski's words of solidarity with El Salvador to his action of passing legislation supporting El Salvador. 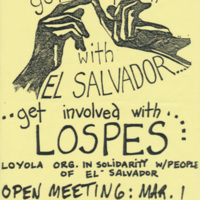 "Get in Touch with LOSPES"
Flyer advertising an open meeting for Loyola's Organization in Solidarity with the People of El Salvador. 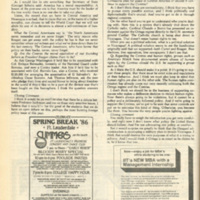 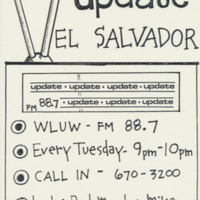 Flyer advertising the "Update: El Salvador" radio program airing on WLUW, a radio station run by the University. 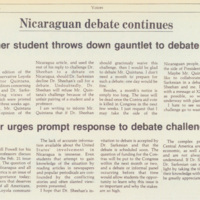 Article from the Loyola Phoenix featuring philosophy professor Tom Sheehan and political science professor Sam Sarkesian answering questions about the situation of Nicaragua. 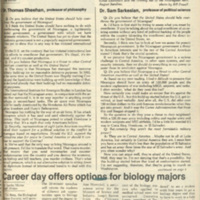 Continuation of article from the Loyola Phoenix featuring philosophy professor Tom Sheehan and political science professor Sam Sarkesian answering questions about the situation of Nicaragua.